This post is an important update to my year-end wrap-up of news relating to Low Carbon Fuel Standards in individual U.S. states, to report that Oregon’s LCFS program has been approved by that state’s Department of Environmental Quality. Oregon Clean Fuel Standard. As previously reported in Biofuel Policy Watch, Oregon has had an LCFS program known as the Clean Fuels Program on the books since 2009, but it has not been fully implemented and is scheduled to “sunset” in December 2015. As reported in the year-end wrap-up in the previous post, the state’s Department of Environmental Quality has proposed new rules for this program, and these rules were considered by the Environmental Quality Commission on January 7-8, 2015. Establish clean fuel standards to reduce greenhouse gas emissions from Oregon’s transportation fuels by 10 percent over a 10-year period, implementing House Bill 2186, which the Oregon Legislature passed in 2009. Require importers of transportation fuels – owners of the fuel when it crosses into Oregon – to reduce the average carbon intensity of fuels they provide in Oregon to meet the annual clean fuel standards. To meet the standards, regulated parties can choose a variety of strategies, including incorporating more lower-carbon biofuels, natural gas, biogas, propane or electricity into their fuel mix, or purchase clean fuel credits from providers of clean fuels. 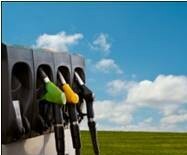 Allow providers of clean fuels to generate and sell clean fuel credits for the fuels they provide in Oregon. Establish fuel supply and fuel price deferrals to contain the program’s cost. Continuance of the program is still contingent upon the State Legislature removing the December 31, 2015 sunset date, an effort which failed in the legislature last year. This is clearly only the first step in what will be a long, possibly complex process for Oregon to develop a strong LCFS along the lines of the California program. However, it is very encouraging to see the state take this action, and coupled with other positive news coming out of Washington State in the latter months of 2014, it creates the strong possibility that in the near future, renewable fuel usage can be promoted by LCFS policies throughout the west coasts of the U.S. and Canada. with programs in all three U.S. states and British Columbia. Other coverage of Oregon’s action can be found at http://www.opisnet.com/offers/images/opis_issue.pdf. December 24, 2014. Year-end wrap-up on LCFS News. D. Glass Associates, Inc. is a consulting company specializing in government and regulatory support for renewable fuels and industrial biotechnology. David Glass, Ph.D. is a veteran of over thirty years in the biotechnology industry, with expertise in industrial biotechnology regulatory affairs, U.S. and international renewable fuels regulation, patents, technology licensing, and market and technology assessments. Dr. Glass previously served as director of regulatory affairs for Joule Unlimited Technologies, Inc. More information on D. Glass Associates’ government and regulatory consulting capabilities, and copies of some of Dr. Glass’s prior presentations on biofuels and biotechnology regulation, are available at www.slideshare.net/djglass99 and at www.dglassassociates.com. The views expressed in this blog are those of Dr. Glass and D. Glass Associates and do not represent the views of any other organization with which Dr. Glass is affiliated. Please visit our other blog, Advanced Biotechnology for Biofuels.